It’s been a while since I’ve written about my own running, probably because my mileage has been pretty low and I haven’t been training for anything specifically since the RUN10FEED10 10K back in October. Lately, I run a few miles at a time several times a week, and that’s been enough for me. I haven’t felt the need to train for longer distances to call myself a “runner”—if I wouldn’t judge other runners based on their weekly mileage, why should I judge myself? After pushing and pushing to train for races, I wanted to take 2015 to enjoy my running without worrying about pace or distance, and I very successfully met that goal. But, over the past month or so, I’ve started to feel the itch to train for something again. 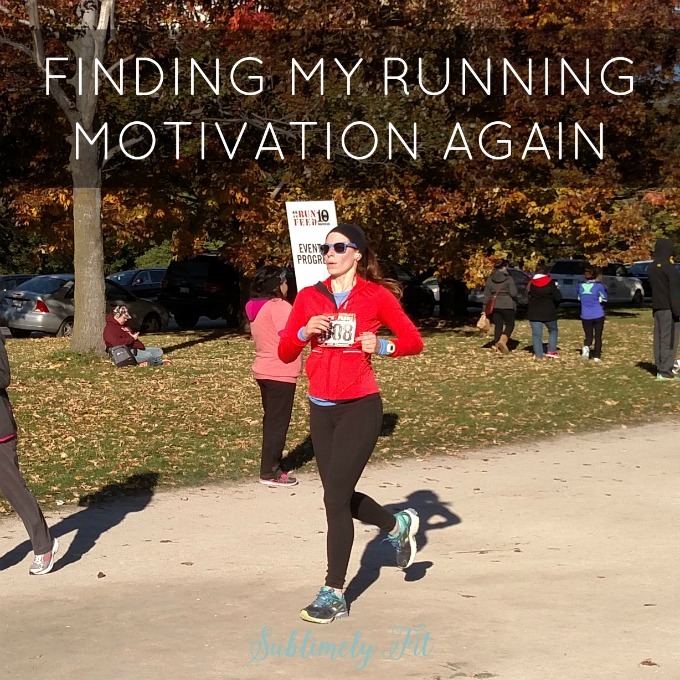 (Training for a race is an awesome way to stay motivated to run.) And although I’d love to have a full race schedule, financially I just can’t do it right now. So I think I’m going to pick a spring race to train for, probably a half marathon so I can get back into running slightly longer distances. I don’t have it in me, mentally, to train for a full, but I’d like to get back in the habit of running long. I also know I train much better in cooler weather and I struggle with summer training, so a spring half is perfect for me. Right now, I’m strongly eyeing the Chi Town Half Marathon. It’s put on by a group called All Community Events, and I know a few people have had problems with their races, but I’ve always had good experiences. I also love that they offer free race day packet pickup, which saves me the time and money of driving into the city to get my packet, paying for parking, and driving back home. It also starts in an area where you can find relatively inexpensive parking, unlike races that start in Grant Park and Millennium Park where you have to pay $20+ to park in the garages. And, the race is held on April 9th, when it should still be cool (again, I don’t do heat well) but it still gives me plenty of time to train. So that’s where I’m at with my running. I may run a 5K or a 10K in the spring if I find one I like, but again, I don’t have a huge budget for racing right now, so that may not happen. I’m at a spot where I’d like the focus of training for a race, I’d like to work on pushing myself a little more, but I want to ease back into things. Eventually I think I might like to try to get back into half marathon PR shape and break two hours again. But, for now I’ll focus on what I need to get done today. I’m taking everything one step at a time. Runners: When’s your next race? What are you training for? What’s a race that’s on your bucket list? 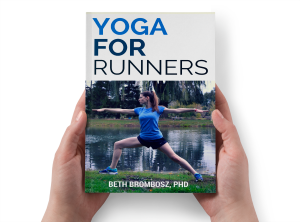 « Yoga for Runners Book Giveaway! I have no idea what or when my next race will be. Obviously, I wish it would be Boston, but I have to be smart about that. I’ve lost so much strength and conditioning while being off, I have no clue where I’ll be starting from. Sigh. Yeah, it stinks, but I know you’ll prevail. You’re Suz. 😉 You’re a bad@$$ mother#@%&# unicorn. I’m on the last few long runs before the Phoenix Marathon at the end of February, and although training has been going well I’m just hating running in the cold weather right now, haha! Yeah, the cold cold is rough. Can’t imagine what it must be like up in Canada! Stay warm–you’re almost there! I totally agree that if I have a race booked, then I am more motivated to run and train for it. My goal for 2016 is to run my first ever 42km which will be in South Africa (my home) at the beginning of November. I agree that the training for a specific race is definitely great motivation! Good luck! Thank you so much, Chaitali! How fun! I definitely need a race in order to convince me to run for longer distances, otherwise I would probably never run over 3 miles. That’s where I’m at! I think my longest run has been 5 miles since finishing my last race. Not that there’s anything wrong with that–three miles is definitely enough to give you a good cardiovascular workout–but there’s just something about distance running. Excited to get back to it! I’m glad you’re getting back into running! I’m still not there yet. I was doing a workout the other day where I was alternating movements w 0.5 mile runs and I was like oh no, I’m dropping that to 0.25. It was killing me mentally haha. I love a race and training plan, but it hasn’t been in the cards for me lately either. One thing I did do a couple years ago was train for a faster 5K and it was really rewarding! Awesome! I have heard good things about that race and have had decent luck with ACE. I think it’s all about expectations with them (and anyone, really). Happy training! My next race is a 5K in February. That is all I am signed up for this year (so far)! Having a race on the schedule is definitely motivating for me. Knowing I have a race coming up gets me out of bed and on a run. I am the same though about not being able to race in the summer. I would love to be able to but the heat always does me in. I love spring and fall races so much because those are the times I LOVE being outdoors running. So glad I’m not the only one who struggles to train in the summer. I always feel like such a pansy when everyone blogs about killing 20 milers in 80 degree heat and I melt when it’s over 75. Fall racing is my favorite! Cool temps and pretty fall colors make for perfect running conditions. My next race-race will be the half at the Calgary Marathon. I’m pretty sure I’ll run a few local races ($15 for chip timing!) and maybe a trail race or two before the event, but those will be more for fun than racing. Ooh, trail races sound like fun! I’m too clumsy to run anything more technical than a gravel path, so I’m always envious of trail runners. 🙂 Looking forward to reading about your training/racing! I’m totally in a running rut right now. I fully blame the weather! I actually enjoy training for races and hope to get back to it all sooner than later! Right there with ya with the weather, Heather. It’s been absolutely frigid outdoors lately, and I know I should run more often and longer on my treadmill, but I always think of other things that I should probably do at home, and I get distracted. Hoping training for a race keeps me focused! I’ve heard the half marathon is very fun, but that said, I totally agree with a lot of what you say about the frustrations of doing races. I am finishing my masters in speech-language pathology in a short 15 weeks and to celebrate that I am running my first half marathon in April!! I’ve never run more than an 8K competitively so I’m very nervous, excited and energized all at the same time. 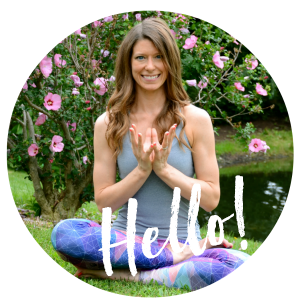 The half is so fun – how exciting you’re getting back into it! And that’s great that you’ve found a race that works well – city parking is never fun and cooler weather races really are so much better than summer ones. And the same day packet pick up is great – my full marathon in July ships out bibs to save stress! My next race is a half marathon in March, which I’m super excited for. Happy training!